Charles Leclerc lists three targets he's had since he started his racing career: "Formula 1 was the first dream, the second dream is to be with Ferrari, the last dream is to be world champion." Consensus decrees that, having completed the first objective, the other two will follow in due course. This is intense expectation to burden the shoulders of a young driver. Kimi Raikkonen's Ferrari future has been the subject of for debate for years, but it is extremely unlikely that Leclerc will vault from his back-of-the-grid current team into the Scuderia after just one season. Not that it will stop people talking about it, or lower the lofty standards by which Leclerc will likely be judged this year. It feels ludicrous to stress that time should be on the side of a 20-year-old, but sport is cut-throat and F1 is particularly unforgiving. In the eyes of many, if you're not great immediately then you're not a great, and, in a way, that makes Leclerc's situation quite rotten. His debut season will not be easy. He will be qualifying near the back of the grid more often than not, and he is being judged against Marcus Ericsson. Leclerc is expected to wipe the floor with an underrated fifth-year driver, which is an almost impossible objective. As if to prove the point, last weekend Ericsson rose from 17th to ninth in Bahrain, while Leclerc's grand prix was, by his own reckoning, messy. Before the season he told Autosport he wanted to "give the impression I'm not a rookie" in the early races, but a rookie is exactly what he looked like in Bahrain. What everybody expecting great things from Leclerc needs to realise is that there is absolutely nothing wrong with that. It is good for him, and for Ferrari if it wants a polished diamond on its books in the future, because these mistakes will be the making of him. You need to learn what to do and what not to do in your career, so why not do both at the beginning? Leclerc is pushing himself hard and making several errors, which is steepening his learning curve but also quickening his learning process. He was as bad, at times, in Bahrain as he was impressive on his debut in Australia, but it's no coincidence Leclerc reckons he learned "a lot" more on his second race weekend than his first. Overdriving has been a key mistake thus far. He reckons it was a problem in Australia, but it was most evident in qualifying in Bahrain. On his final run, Leclerc was "pushing way too much" at the start of the lap and overheated the rear tyres. That built up throughout the lap, which was proving slower than his best anyway, but he continued to push and he spun at the final corner. Leclerc admits that in qualifying he is "always a little bit over it every time", and "I just need to calm down a little bit - I really need to focus on that for the next qualifying sessions". 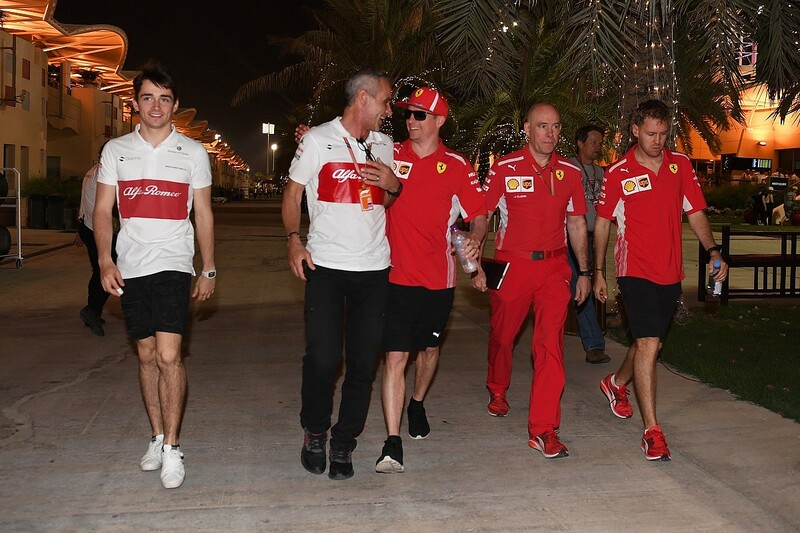 In the race, Leclerc flatspotted a tyre early on and stopped under the virtual safety car at the end of the third lap, but he had already made a major strategy misjudgment. As Ericsson showed, a well-executed one-pitstop race worked well in Bahrain. 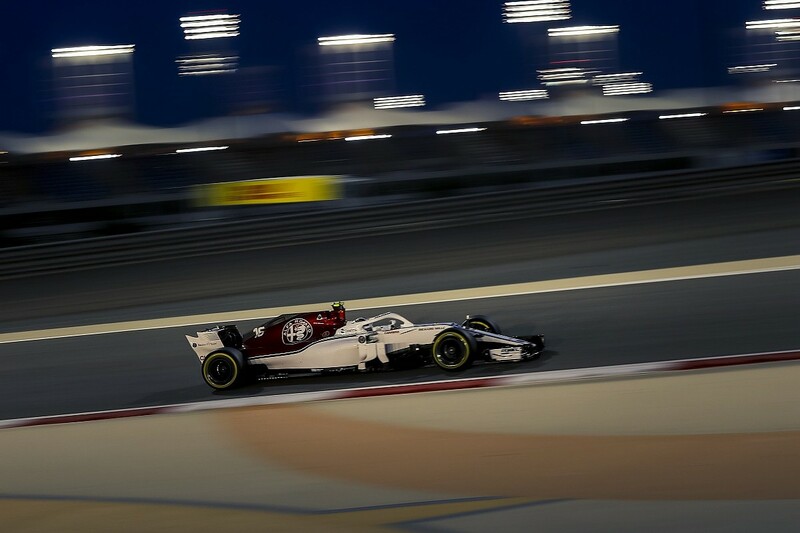 Sauber wanted Leclerc on something conventional but the youngster pushed for an extremely early stop with the intention of running almost the entire grand prix on medium tyres. Such strategies fail more often than they succeed, and unsurprisingly Leclerc ended up on the wrong side of probability. "They were right," says Leclerc. "We had more degradation than expected and had to stop again. I'm happy to have been proven wrong because it has taught me many things for the future." Trial and error is part of the learning process and there is certainly a danger in doing everything by the book. Without freedom to experiment, a driver's instinct and decisiveness will be stunted. Leclerc knows how to judge when to stick and when to twist a little better now. After stopping early, the management of his race immediately became more intense. In 2017 Leclerc made an unconventional pitstop during the Formula 2 sprint race in Bahrain on his debut weekend, and pulled off a spectacular victory fighting back through the field. A year later and things were far less smooth. "We hit traffic with guys who were stopping later," he explains. "I hit a train of cars and struggled, we lost tyre temperature and then you get in a cycle where it's just getting worse and worse. "It was very difficult but it has been very, very helpful for me. I've learned massively, and I've realised the strategy is not as straightforward as it was in F2. There are a lot more things to do, like fuel saving, and this impacts the tyres. And traffic - this played an important role in the race, and I did not manage it the right way. "I will not be so hard as I was on myself in qualifying. I don't think these are stupid errors. I think these are proper, rookie errors." They are, and they will be more valuable than the occasional spin, which is something very easy to diagnose. Understanding why his Bahrain race unravelled, unlocking greater consistency or adaptability or the correct feel for the tyres, is altogether a different challenge. One thing that will help Leclerc is for him to learn a backmarker's mindset. His debut was an example of what he can achieve if he does not chase something too fanciful. Melbourne's Albert Park circuit is tough, an oddity even by F1 standards as it is a temporary venue using public roads in a more open setting than the street tracks of Monaco and Singapore. It's deceptively challenging - Leclerc admits he underestimated it - and to make things tougher heavy rain on Saturday morning wiped an hour's dry running from the schedule. 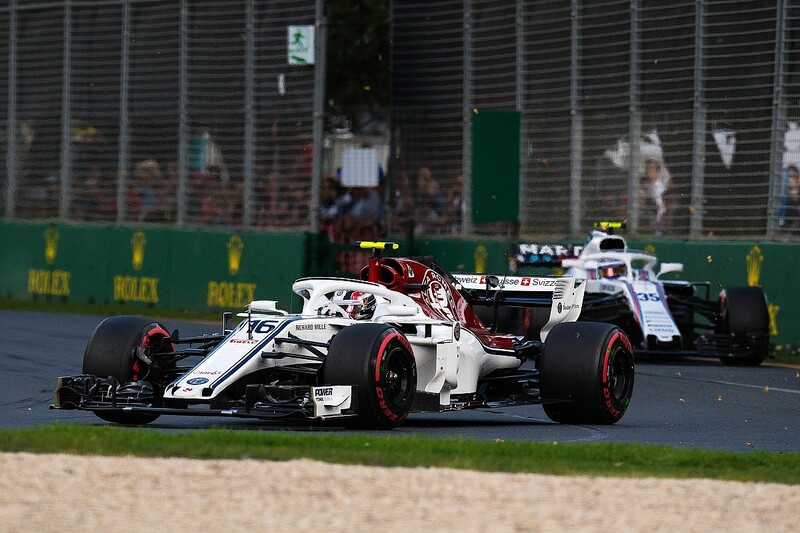 Sauber team principal Frederic Vasseur says it was a "worst case scenario" for a debutant but Leclerc, with zero targets, equipped himself well. In practice and qualifying he lapped within a tenth of Ericsson, who is in his fourth consecutive year with Sauber, and he drove solidly in the race, nipping ahead of Lance Stroll's Williams at the safety car restart to bag 13th. Leclerc called it a "perfect" race, but in a Sauber that means a midfield finish. Though Leclerc has always been a rookie, he has always been a frontrunning one. 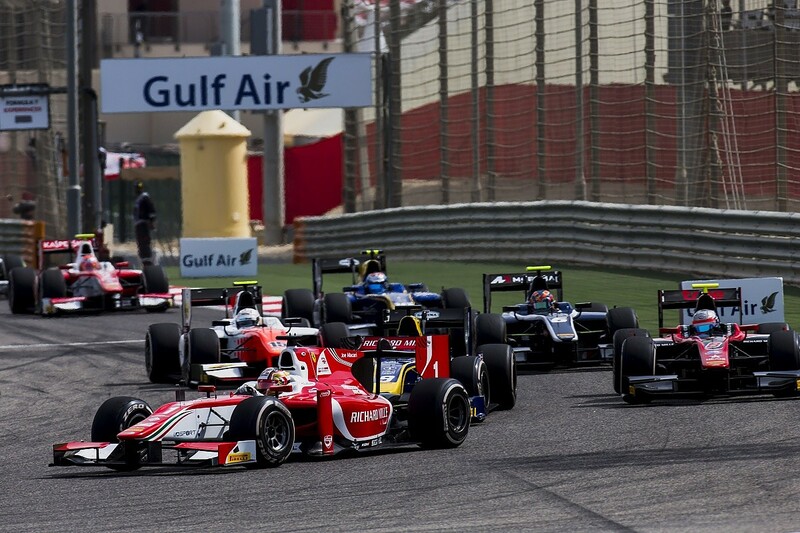 Wins in Formula Renault and European Formula 3 preceded back-to-back titles in GP3 and F2. All he has known is success. "It's difficult," he admits. "It might seem stupid, in my head I'm always hoping for a crazy result. This will come with time, where I can adapt to this type of situation." That will likely happen quite quickly because Leclerc is intelligent and mature for his age. It's probably why he's doing so well in managing something on a far grander scale: the expectations around him and his status as Ferrari's heir apparent. Vasseur says "the worst case scenario would be for him to be focused on what could happen in 2020" but is certain Leclerc understands that. Autosport puts that to the youngster, who proves his team boss right. "For me it's quite easy," says Leclerc. "Ferrari feels so far [away], to be honest. When I was in F2, F1 was unreal for me. Now that I'm in F1 I don't even think about Ferrari because for me it's not something that's possible at the moment. "I'm pretty sure they will be looking at me, on the other hand they haven't set clear targets for me. I expect they are waiting for me to do well. I need to focus on myself and do the best job possible and hopefully Ferrari will be happy." Ferrari may not be at the forefront of Leclerc's mind, but his awareness that the famous team is keeping an eye on him gives a first glimpse of how he will handle top-tier pressure. 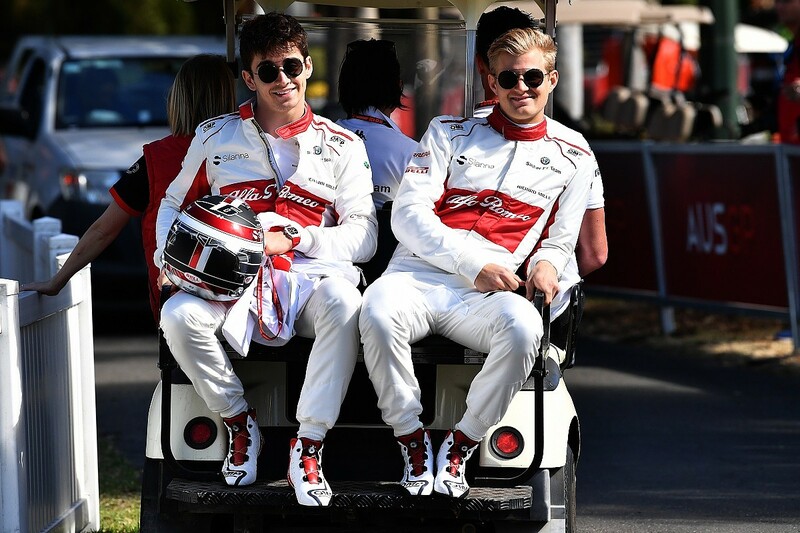 Leclerc will still be using the Maranello simulator this year, and if he produces the goods at Sauber an elevation up the grid - perhaps to Haas - would be logical progression. The ties have not severed just because he has graduated from the Ferrari Driver Academy. But Leclerc must not be rushed, by Ferrari or by anyone else. It is so easy to criticise from the outside, but the fact is this is the most complex era in F1's history. 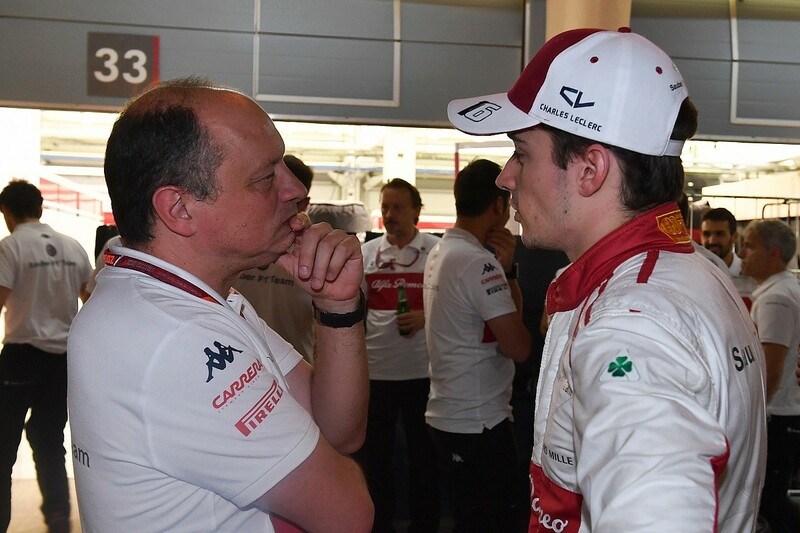 There is more to take in but less track time to do so, and a swathe of off-track responsibilities that are a world apart from Leclerc's time in F2, where, as Vasseur puts it, "you are in a car park somewhere and nobody is taking notice of you - 100% of your time is dedicated to the sporting approach". Anybody expecting Leclerc to replace Raikkonen for 2019 is being mighty unreasonable, and anybody at Ferrari who makes the decision to replace Raikkonen with Leclerc for '19 is being mighty unfair. In either case, Leclerc risks being crucified by the irrational expectation that engulfs the F1 paddock and its onlookers. Max Verstappen's meteoric rise has moved the goalposts in people's minds, but a better example exists elsewhere in Red Bull. Daniel Ricciardo had 50 starts across HRT and Toro Rosso before getting promoted to the Red Bull senior team, and matured into a driver perfectly ready to make that step. If he was rushed into that position after his first season, would he have taken on Sebastian Vettel and won three grands prix? Not a chance. Leclerc needs time. Ericsson is making life "difficult" for him at the moment and Leclerc will find it tough to shift the balance of power if the Swede's strong form continues. If it takes until the second half of the year for Leclerc to make his mark in that battle, then so be it. There is no shame in being beaten by a driver with as much experience in F1 as Leclerc has in cars altogether, and such a defeat would not make Leclerc's potential any lower than it was thought to be two months ago. As Vasseur says, "it doesn't matter if he's starting 18th, 19th, 20th, the important thing is to improve and to show everybody he's able to understand". Leclerc's talent is clear to see, and this season should be about cultivating that. The progression he makes along his learning curve is more important than a headline result or grinding Ericsson into dust on a given weekend. Leclerc seems to realise that, but those looking to judge him on 2018 need to as well. F1 and Ferrari are not best known for being reasonable, but both will be a lot poorer if they mismanage this potential megastar. Crushing Leclerc through the weight of expectation, before his talent even comes close to being realised, would be foolish and disappointing in equal measure.